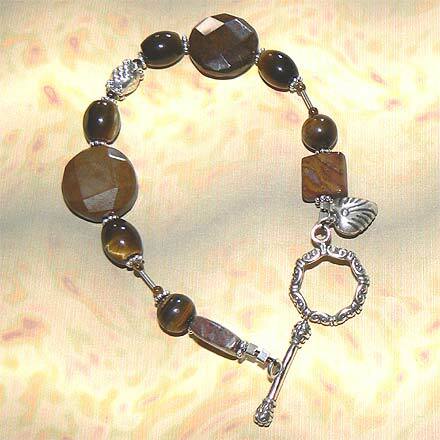 Sterling Silver Tiger Eye, Tiger Iron Jasper and Pietersite Bracelet. 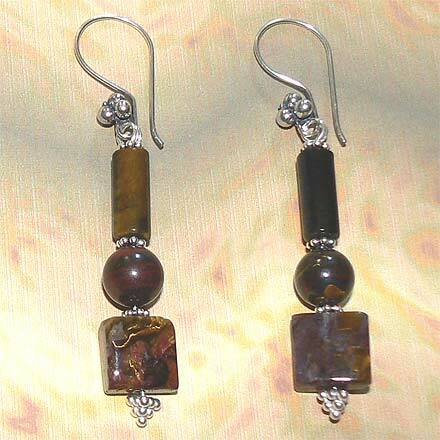 Sterling Silver Tiger Eye, Tiger Iron Jasper and Pietersite Earrings. All three of these stones, Tiger Eye, Tiger Iron Jasper and Pietersite are all related to eachother. The bracelet is 7¾".